This ad was the beginning of a rebranding campaign that turned a small family-owned water treatment company into a globally recognized quality provider. 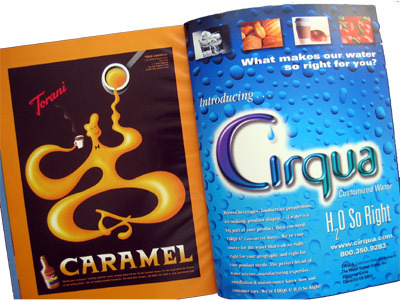 Bold and clear, the campaign focused on the company's Four Foundations -- Quality, Knowledge, Service & Reliability -- and began the process of bringing each of those to life as elements of the CIRQUA brand promise. Color. Design. Simplicity. Clarity. The essence of the new site. The foundation of the ad campaign. This series of ads featured a separate ad for each key element of the site --Buy, Design, Interact, Research -- as well as a lead umbrella concept ad that set up the expectation of what visitors to the newly launched site would find and how it could make their work more efficient and effective. 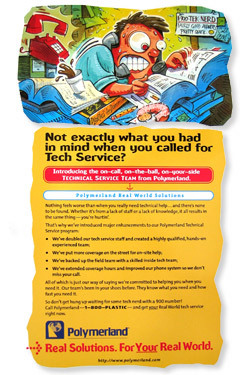 Playing off the "business as usual" expectations in the resin supply world, we poked some fun at the stereotype and made the point that what yoyu'd find at GE Polymerland was anything but stereotypical. This ad was one of a series of four. Who says B2B has to be ugly?! Just 'cause it's for business doesn't mean you can't use the same strategy and creative skills that are commonplace in consumer ads. 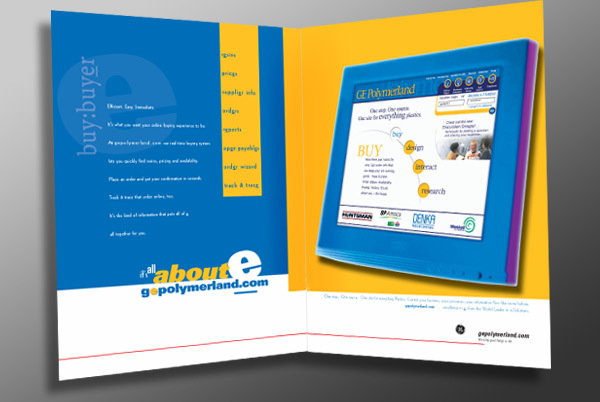 We took this series of plastic resin strip ads and created a fresh and unusual approach to selling GE Polymerland as the place where you could get any of your favorite resins. Not quite like going to Target but the attitude, especially in the industrial marketplace, really paid off.